Getting the BlizzCon virtual ticket? This means you'll get the chance to play the World of Warcraft Class demo from your home! A lot of changes are coming to Heroes of the Storm. Here's a run down of all of them. From StarCraft 2 and World of Warcraft, to Heroes of The Storm, HearthStone, and Overwatch, here's what Blizzard showed off during BlizzCon's Opening Ceremony. Stukov, the Infested Admiral, is a powerful melee healer with a lot of adaptability -- here's how to build and play him in every HotS situation. League of Legends is an awesome game until you lose 10 matches in a row. Here are five games similar to League of Legends that you'll love. Blizzard has an enormous roster of iconic characters, but these are the top ones that we all want to see in Heroes of the Storm ASAP. Blizzard confirms Malthael, the central villain of the Diablo III: Reaper of Souls expansion, as its newest hero in Heroes of the Storm. D.Va recieves new duds for Overwatch and is making her debut in Heroes of the Storm! Learn how take advantage of the most important strategic points and choose the best heroes for Hanamura in this guide to Heroes of the Storm 2.0. Heroes of the Storm is getting a leveling overhaul in its 2.0 update. Here are a couple of calculators to get a look at what to expect with your own account. Learn about all the upcoming changes in Heroes of the Storm 2.0, including new progression system, loot chests, currencies and heroes. 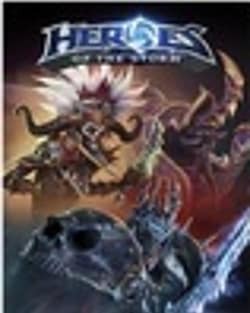 The HotS version of the Amazon class from Diablo II will soon enter the Nexus with spear and shield as a ranged assassin. A massive content update for Heroes of the Storm brings a new battleground, loot chests, and an overhauled experience and player progression system. Blizzard has announced that they will no longer be supporting World of Warcraft, Starcraft II, and more for Windows XP and Windows Vista later this year. How do you get started in the world of online gaming? Possibly with one of these seven titles. The three year lead of Blizzard's Heroes of the Storm, Dustin Browder, will be stepping down from the position to explore other projects within the company. While still the most played game in the world, 2016 saw flaws form in League’s dominance, letting some other MOBAs fill in the cracks. A 'version mismatch' error has been arising in Heroes of the Storm this week. While the bug can be frustrating the hot fix for it is quite simple. New to MOBAs? Seasoned player? It doesn't matter! Heroes of the Storm is perfect for you and here's why now is the best time to take battle in the Nexus!